Today I have for a simple cookie that is kind of winter with a mix of summer. 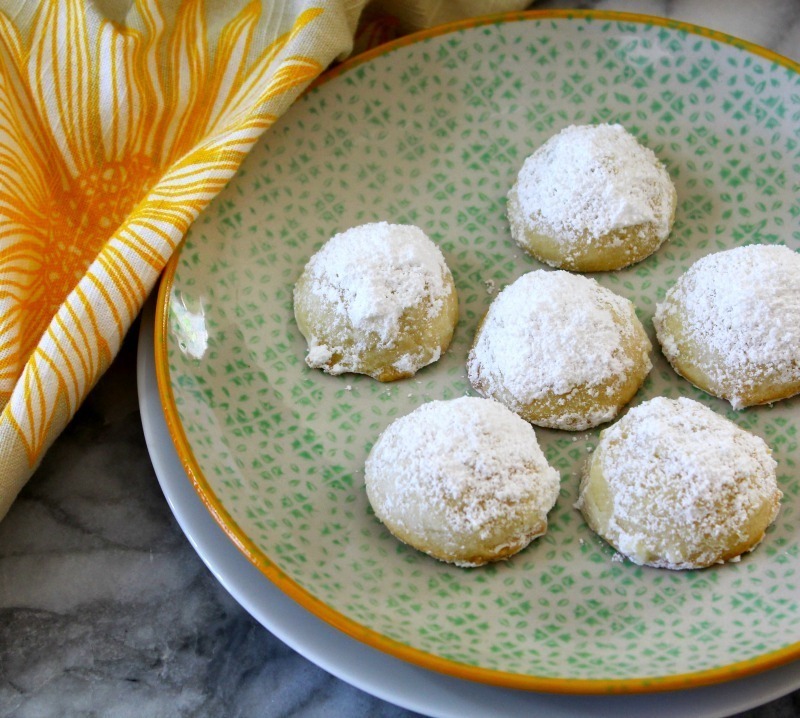 It is Lemon Snowball Cookies. I got the idea of this recipe from King Arthur Flour. I simplified their recipe to make it more adaptable to ingredients that you will have on hand. These cookies are amazing! 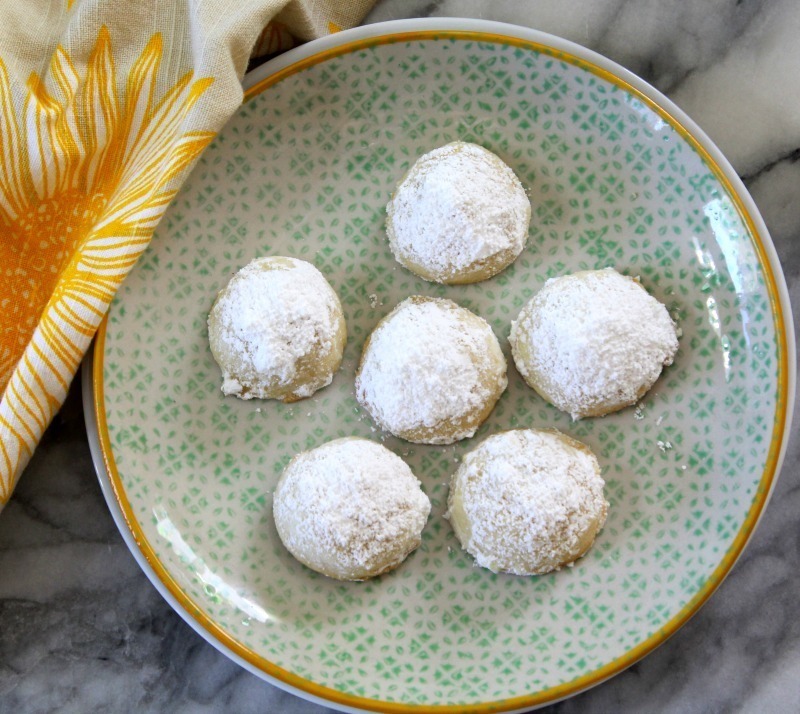 Buttery cookie with a lemon flavor that is sweetened with powdered sugar. They will sure to be a hit. But not only are they so delicious, they are a breeze to make too! You have to love that! The recipe only contains a few ingredients, butter, flour, powdered sugar, salt and lemon extract. If you do not have lemon extract, change it up with a different extract for a different flavored cookie. 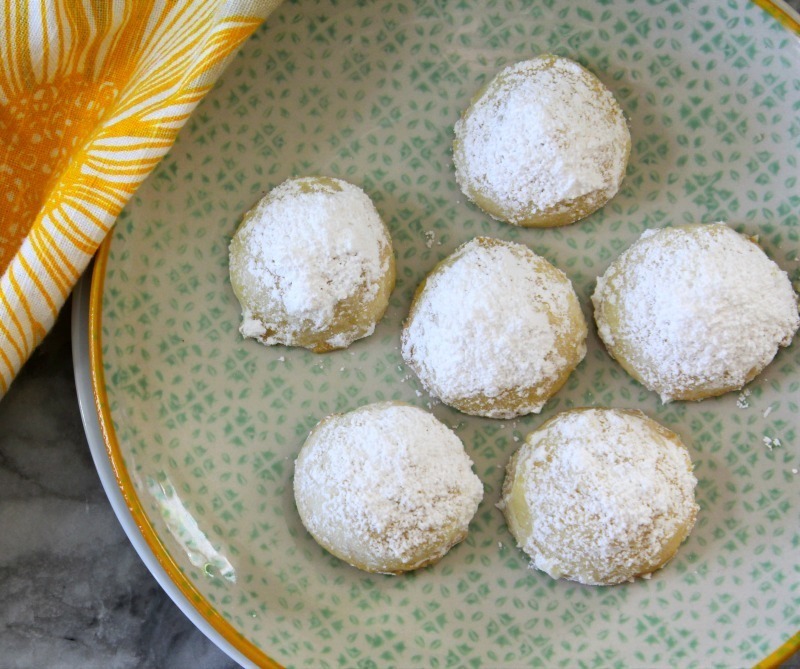 This recipe makes 40 cute little snowball cookies. I am so loving the powdered sugar on top. They are puffy cookies that do not spread out that much you can easily fit 16 cookies to a baking sheet. 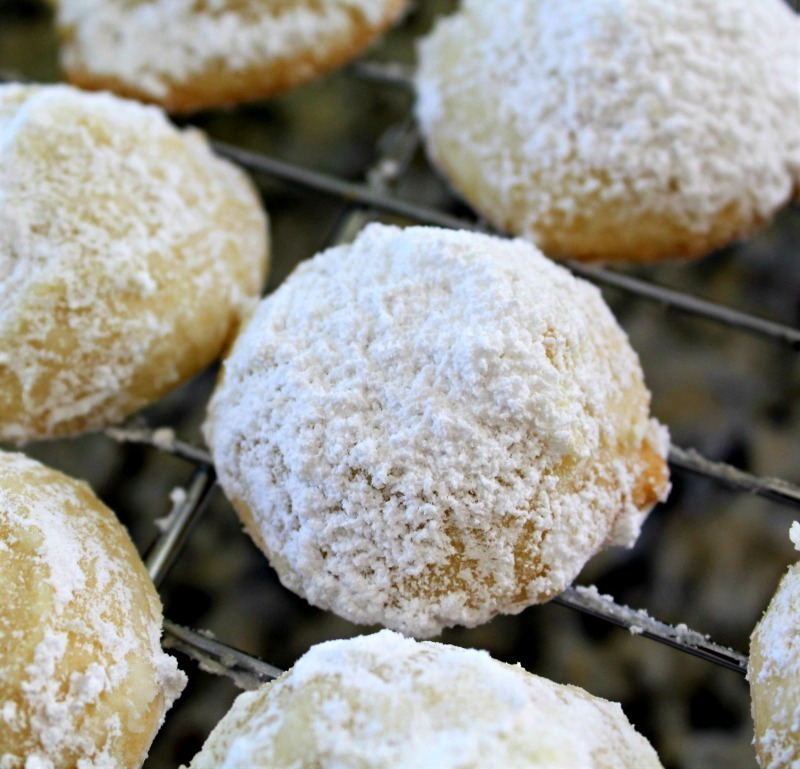 Soft butter cookies with a lemon flavored topped with powdered sugar. Line to baking sheets with parchment paper; set aside. In a bowl, add butter and salt; beat until light and creamy. Add powdered sugar and lemon extract; beat until combined. Add flour and beat in well. Take a teaspoon size about of cookie batter and place 1" apart on baking sheet (I fit 16 cookies to each cookie sheet). Bake in oven for 10 - 12 minutes, until bottom starts to turn a very light golden color. Let cookies rest on baking sheet for 3 minutes. 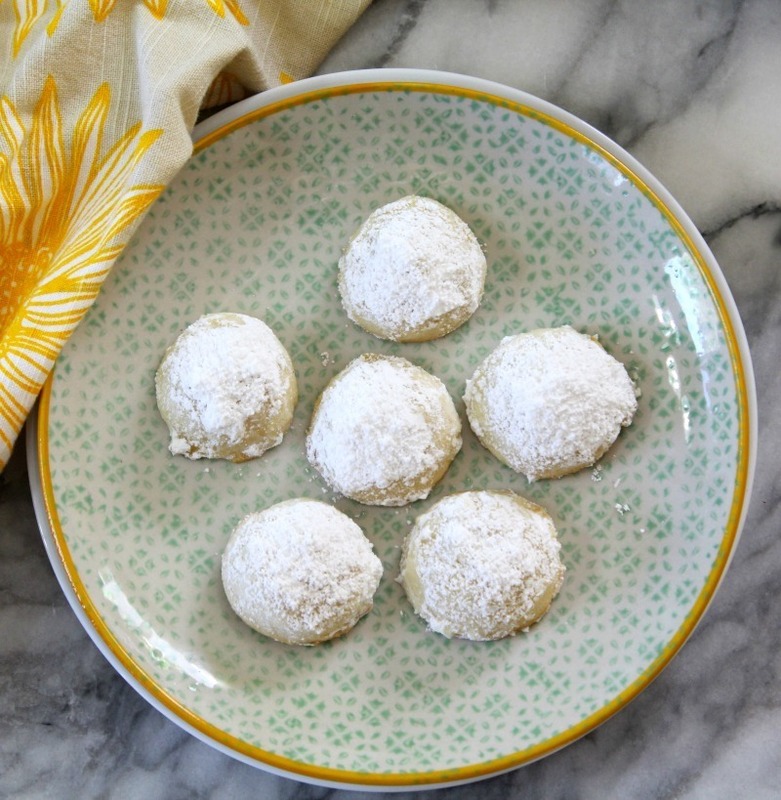 While cookies are warm, roll cookies in 1 cup of sifted powdered sugar. Let cookies cool completely. Store in an airtight container for up to a week or freeze cookies for up to 3 months. Calories maybe less, I had left over powdered sugar when rolling. I hope you enjoy these cookies as much as we do. They bring the end of the Summer and a hello to the Fall & Winter season. However, I am not ready for Summer to be over. But I can’t wait for apple season! Thank you so much. I kind of have a thing for making cookies. Happy cooking to you too! Can I use fresh lemon juice instead , although I realize that it might take too much juice to equal the amount of extract needed. Thanks for all the great recipes I have used through the years from you. Hi, hmmmm good question. I thought of that myself. I don’t think it would work because it would make the dough to sticky, plus I don’t think you would get enough lemon flavor. Thank you for your kind words.